Mercedes-Benz, India’s largest luxury car maker inaugurated its first 3S luxury dealership in Mysore. Strategically located in the heart of the city at Hebbal, the luxurious dealership was instated by Akshaya Motors owned by M.P. Shyam Shetty. The location will cater to Mysore and its neighboring vicinities. 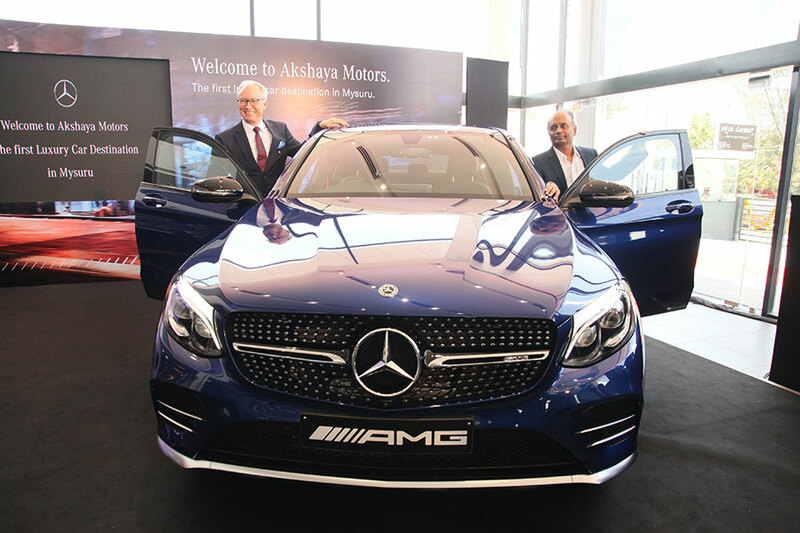 The luxury 3S dealership was inaugurated by Roland Folger, Managing Director & CEO, Mercedes-Benz India and M.P. Shyam Shetty, Managing Director, Akshaya Motors. At Mercedes-Benz India, we strive to create new avenues of proximity with our distinguished customers across the country. We aim to provide the best customer experience by offering our discerning customers the best of our products and services. It is state-of-the-art facilities like Akshaya Motors, Mysore that helps us in pursuing our carefully curated ‘Go to Customer’ strategy and gives us a competitive edge. We are glad to have established partners like Akshaya Motors, who over the years have ensured a superlative customer experience in the market based on their deep understanding of the market and subsequent customer requirements. With this grand 3S luxury car dealership, we are deepening our commitment and providing ‘modern luxury’ in its truest form to our customers. With this launch, we further reinstate our commitment to extend our brand promise of ‘Best or nothing’ to our patrons in the region. 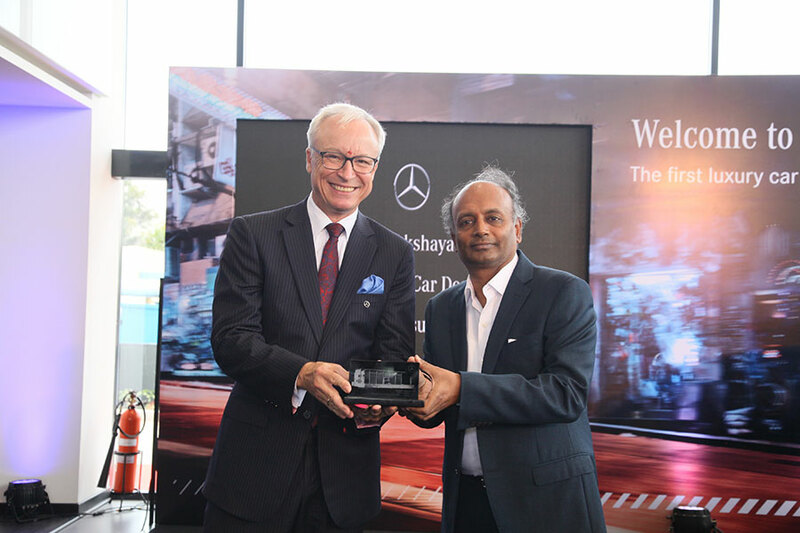 Mercedes-Benz India also has the densest network reach in the country and inauguration of our Mysore dealership is a step towards our expansion plan further in North Karnataka. 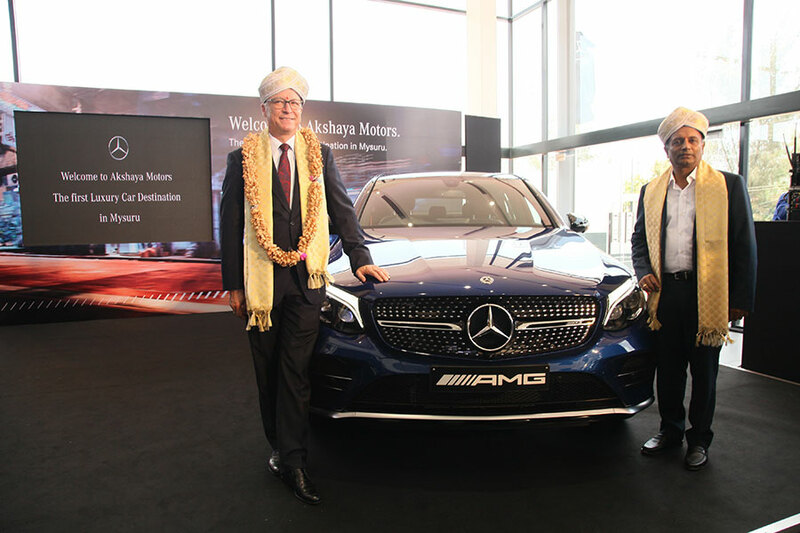 We are delighted with this opportunity to deepen our relationship with not only India’s but the world’s leading luxury car maker, Mercedes-Benz. South India has always been a key market for us and in recent years, Mysore has emerged as an important city in Karnataka. To our utmost pleasure, we will be providing a one stop luxury destination for Mysore, which is on the stipulated growth trajectory. The dealership, Akshaya Motors, is strategically located in the well-connected Hebbal Industrial area which has potential to serve not only the city of Mysore but also its suburbs and neighboring cities. With this convenient location and professionally trained staff backed by modern luxury and architecture, we assure a unique and world class brand experience of Mercedes-Benz to our discerning customers. Mercedes-Benz has the densest reach in the country with 87 outlets across 42 cities and has further expansion plan in the North Karnataka region. The strategic network expansion drive not only enables the brand to reach out to every potential customer but also serves the existing customer base by providing them the best of the Mercedes-Benz world.